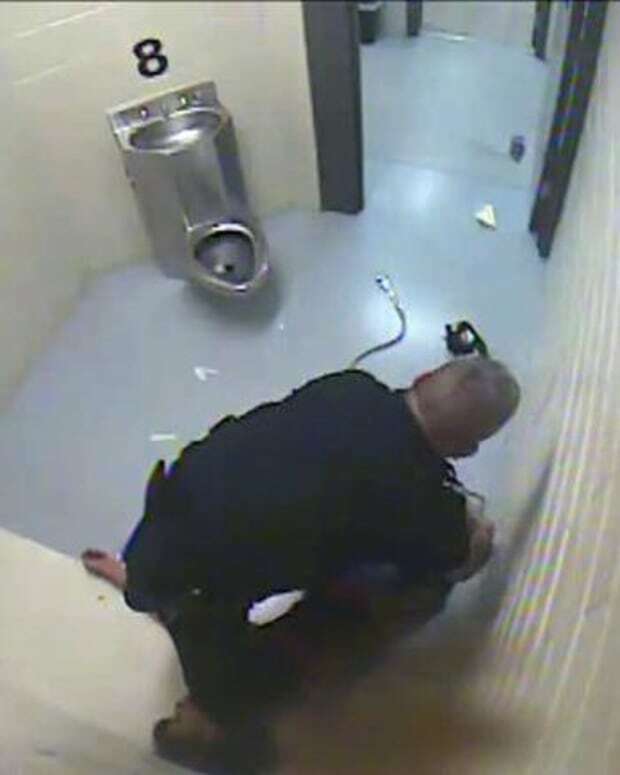 A Skokie, Ill., police officer is charged with aggravated battery and official misconduct after surveillance video captured him pushing a female detainee into a jail cell. Officer Michael Hart, 43, of Gurnee, Ill., has been put on administrative leave while Skokie officials continue their investigation. Opposing Views reported on Oct. 10 that he allegedly shoved Cassandra Fuerstein, 47, into a jail cell where her head crashed into a cement bench. The woman sustained broken bones and fractures in her face that required reconstructive surgery, as well as vision and dental problems. Hart did not comment as he left a court appearance on Wednesday. Hart was released on $75,000 bond and faces up to five years in prison if convicted, Huffington Post reports. On March 10, 2013, Hart was on duty at the Skokie Police Department and helping with fingerprinting and photographing Fuerstein, who was arrested on DUI charges, prosecutors said. He “became irate,” according to a release from Alvarez, when the DUI inmate did not want to look at a specific camera lens and pushed her into the cell entrance, ABC Chicago reports. 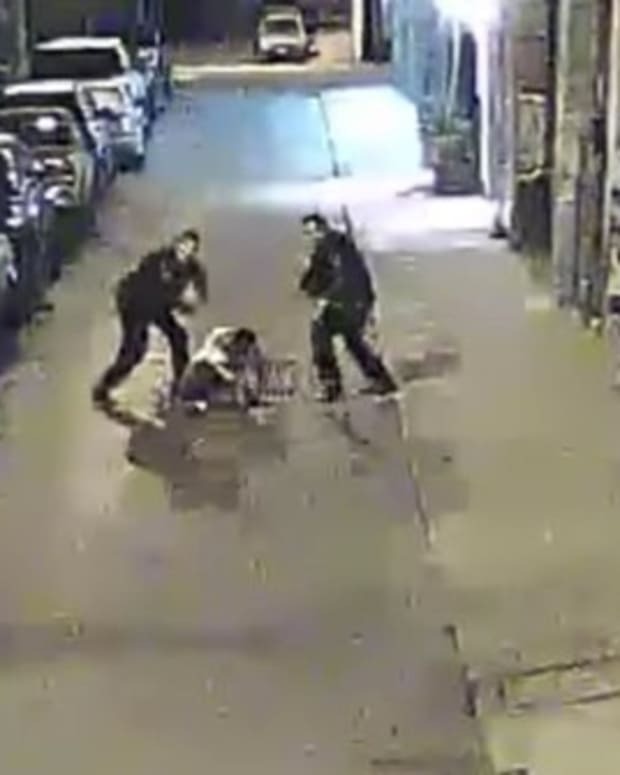 Surveillance video of the shoving was released earlier this month by Hamilton, after Feuerstein filed a federal civil rights lawsuit against Hart. Hart filed a complaint against Feuerstein after the lockup incident for resisting a peace officer. The charges were later dropped when prosecutors reviewed evidence. Feuerstein pleaded guilty to drunk driving.